President Donald Trump's administration denied Tuesday any change to its "One-China" policy after Taiwan President Tsai Ing-wen made a political speech in the US, the first time in 15 years a Taiwanese leader has done so. Beijing said that it had lodged an official protest with the United States over Tsai's speech Monday in Los Angeles, where she said Taiwan's freedom and future was not negotiable. 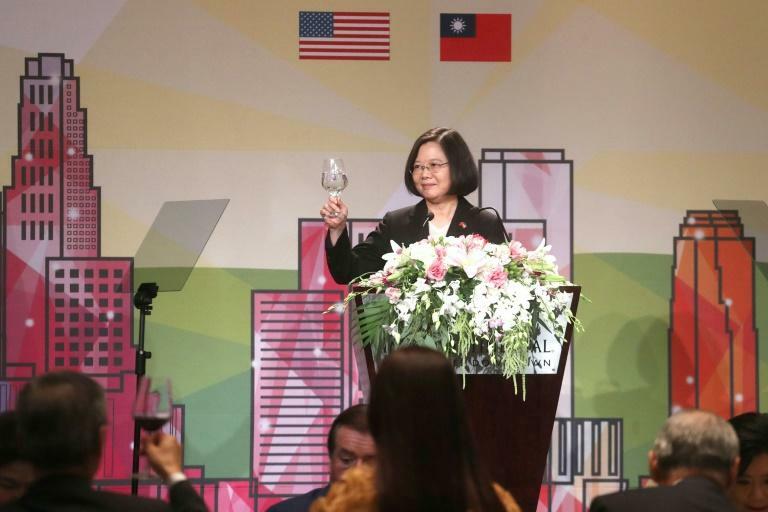 Tsai spoke at the Ronald Reagan Presidential Library while in transit on a trip to Paraguay and Belize, two of the few countries that continue to recognize the government in Taipei. State Department Spokeswoman Heather Nauert said the speech did not represent any move by the Trump administration to alter the official US stance that accepts Beijing as the sole government of China, and does not officially recognize Taiwan's government. "Our policy on Taiwan has not changed," she told reporters. "The United States in regard to this trip facilitates from time to time representatives of the Taiwan authorities to transit the United States." "Those are largely undertaken out of consideration for the safety and the comfort of those travelers, and that is in keeping with our One-China policy." Yet previous US administrations have prevented Taiwan leaders from making speeches in the United States that would implicitly elevate their diplomatic status and irk Beijing. Tsai's transit in Los Angeles was the most high-profile since former Taiwan president Chen Shui-bian's 2003 stopover in New York, where he accepted a human rights award and delivered several public speeches. Tsai, a firm defender of Taiwan's independence, said in the speech Monday that "We will keep our pledge that we are willing to jointly promote regional stability and peace under the principles of national interests, freedom and democracy." Tsai's stopover came amid a rise in tensions between China and Taiwan that has raised concerns in Washington. In April the Chinese military held live-fire exercises in the Taiwan Strait in what was widely seen as a move to intimidate Taipei. In Singapore in June, US Secretary of Defense James Mattis warned China not to alter the security status quo in the region. Last month, Beijing forced several international airlines, including US carriers, to begin listing Taiwan as a part of China in advertising their services.